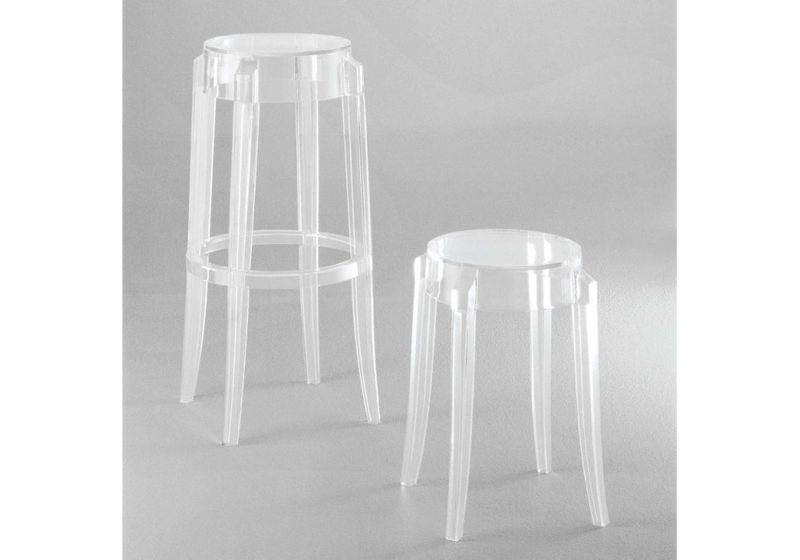 Charles Ghost is a stool designed by Philippe Starck for Kartell. The shape conjures up stools of the 1800s and the line of the legs is rounded and slightly upturned, an icon of the classic high stool. Charles Ghost is constructed from a single block of transparent polycarbonate which makes it indestructible and allows it to survive anywhere. 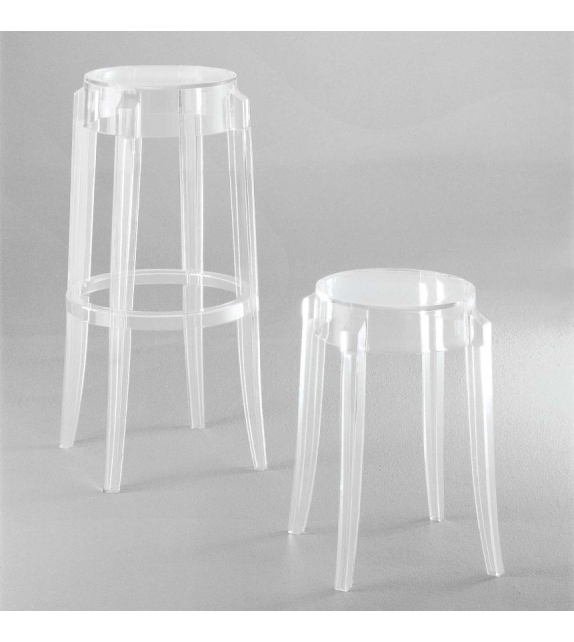 Charles Ghost is a stool designed by Philippe Starck for Kartell. The shape conjures up stools of the 1800s and the line of the legs is rounded and slightly upturned, an icon of the classic high stool. Charles Ghost is constructed from a single block of transparent polycarbonate which makes it indestructible and allows it to survive anywhere. It is available in threedifferent heights: from the stool for occasional and informal session to that for the kitchen bench or bar counter. It is just as suited to closed surroundings as to open spaces and it embraces every kind of furnishing and every culture. A wide range of transparent and opaque colors allows for the creation of intriguing chromatic combinations.